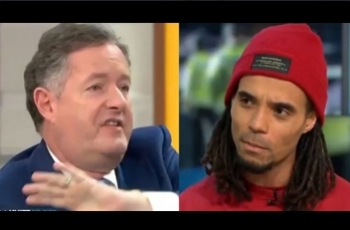 Home › News › Has Akala just dramatically moved the race debate? Has Akala just dramatically moved the race debate? Most Black writers or activists know that going on national TV and radio to talk about race issues, particularly race inequality, more often than not will be to enter a rigged debate. That is to say that most of the time the presenter and their chosen guests will not only set themselves up Full Square against you, but they will also attempt to characterize you as part of the problem for daring to raise the issues; rather than discuss some of the legitimate elements that cause persistent inequalities. I remember painfully watching the writer Afua Hirsch get politically mauled during a discussion on Sky TV programme called The Pledge. In it Hirsch was talking about the racism that Meghan Markle had been subjected to and lamenting about Donald Trump’s reference to African countries as ‘sh**holes’. This is one of many examples, and why in no small measure Renni Edde-Lodge wrote her ground breaking book; Why I don’t talk to white people about race’. But what I witnessed yesterday on Good Morning Britain with the more than opinionated Piers Morgan was something quite extraordinary. Now let’s be clear, it’s unlikely that this one interview, brilliant as it was, is not going to radically move the dial on racial politics anytime soon, but it could be a start. I think the dynamics of the interview should be widely shared, and we should urge other presenters to both see it and engage more in this type of sensible debate. That way we can begin to talk about solutions rather than justifying the debate at all. I clearly did understand that his programme was all about: Creating drama often from a white privileged ivory tower that sought to metaphorically kick Black people and in particularly Muslims, because much of their audience liked it. I just wanted it to stop.